Canada is among the worst globally in wasting food, according to a recent report on the state of food loss and waste in Canada, U.S. and Mexico. Canada wastes so much food that a researcher likens it to tossing a quarter of your groceries away when you leave the supermarket. 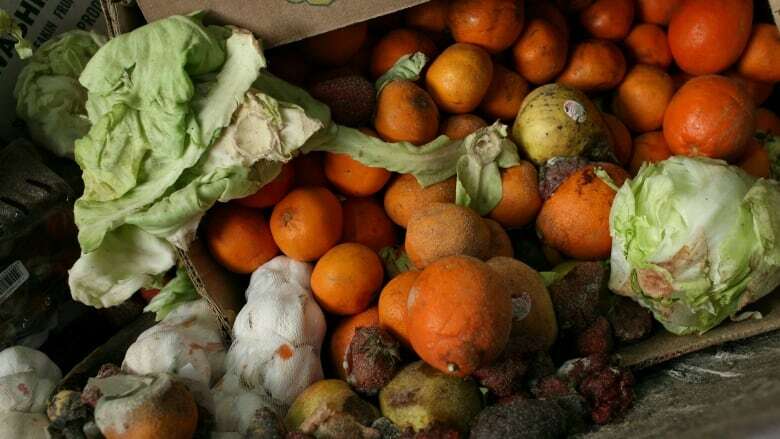 In fact, Canada is among the worst globally in wasting food, according to a recent report on the state of food loss and waste in Canada, U.S. and Mexico. That's compared with 415 kilograms in the United States and 249 kilograms in Mexico. "That's not just what we throw out from the science experiments in the back of the fridge; that encompasses the food supply chain from the farm all the way through processing, distribution, and food service, retail — the whole food supply chain," Tamara Shulman, one of the authors involved in the report, told The Current's Anna Maria Tremonti. The amount of food loss and waste in North America has a significant environmental and socio-economic impact on North America as well, Shulman told Tremonti. "As it relates to greenhouse gas emissions resulting from the life cycle of wasted food, we're talking about 193 million tonnes of greenhouse gas — that's the equivalent of the greenhouse gas emissions generated by 41 million cars driven on the road continuously for a year." Food gets automatically tossed, in part, due to overproduction and surplus as well as damaged products and grading specifications, Shulman said. But there are ways to expand value-added processing by taking a blemished tomato that doesn't make it to market and having a restaurant use it for a sauce, for example, Shulman said. 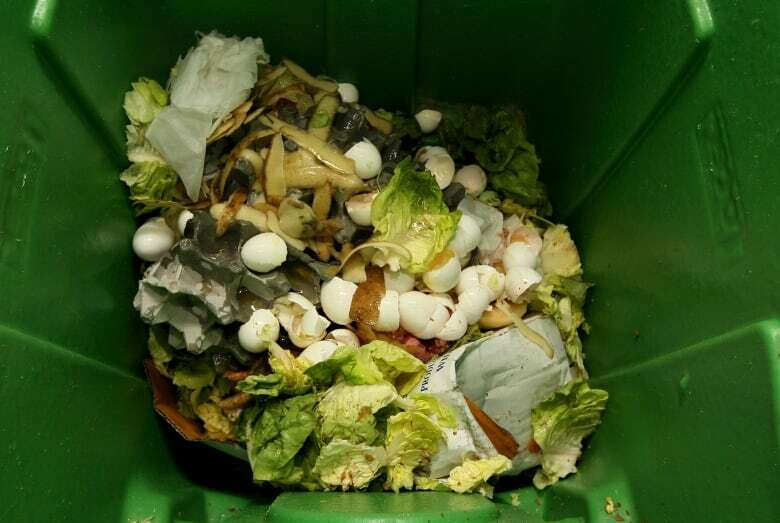 Recycling food waste in this manner is one of the recommendations of the report where imperfect produce is offered at a discount. Shulman suggested consumers can have influence by purchasing imperfect produce that is perfectly edible. "We can support the businesses that have some of those best practices in place and vote with our dollar." Other suggestions in the report to prevent food waste are reducing portion sizes in restaurants and creating quick-fix items to add in buffets to avoid over producing, as well as standardized expiry labels. "You can make a really strong business case for action," David Donaldson of the Commission for Environmental Cooperation told the Canadian Press. Companies can improve how they do business by making changes in their practices, he said. Many businesses already have ways to reduce surplus, including donating to food banks, but Shulman said there are always opportunities to find a secondary market. It's not just supermarkets and restaurants that are culprits to food waste, humans play a significant role too, Shulman said. According to the report, the average Canadian consumer throws out an estimated 170 kilograms of food a year. "When you walk out of a grocery store, if you've got four bags of groceries you may as well just drop one in the parking lot — consumers waste up to 40 per cent," Shulman said. Last month, a grocery store in the Netherlands started selling a range of products made out of food that would have otherwise been destined for the garbage. The initiative — roughly translated as "Waste is Delicious" — helps startups and entrepreneurs make and sell products, like soup, soap and even beer, out of food waste. The soap incorporates coffee grinds combined with citrus peels; apple cider is made with C-grade fruits and the stale bread makes the beer. Pieter Goudswaard, one of the project's coordinators, told Tremonti about a grocery store experiment in which straight cucumbers were swapped with "wonky shaped ones." "They sell as well as the straight ones, which kind of takes away one of the prejudices that you can't sell curved cucumbers — yes, you can," he said. 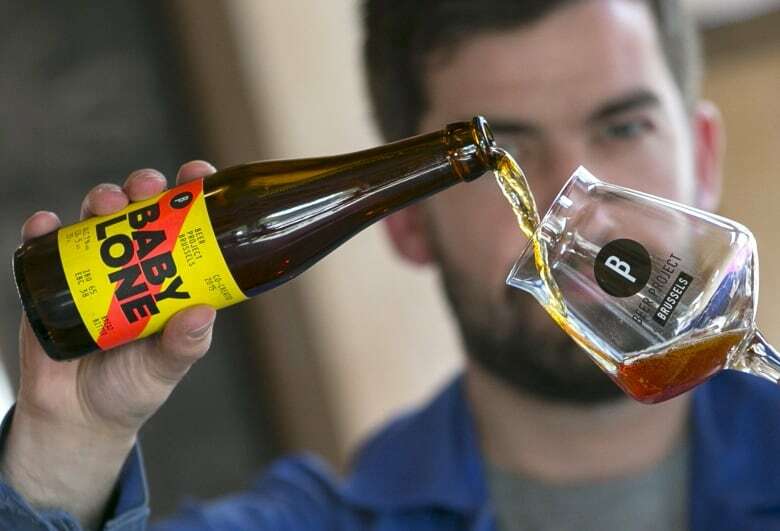 Testing people's tolerance for "unusual" food; food that isn't standard for consumers is just one of the awareness opportunities the project hopes to continue, Goudswaard said. "We try to be the positive example on how things can be done different." Listen to the full conversation at the top of this page, which includes research by Monica Labarge on how to reduce food waste from a consumer level. This segment was produced by The Current's Geoff Turner and Alison Masemann.